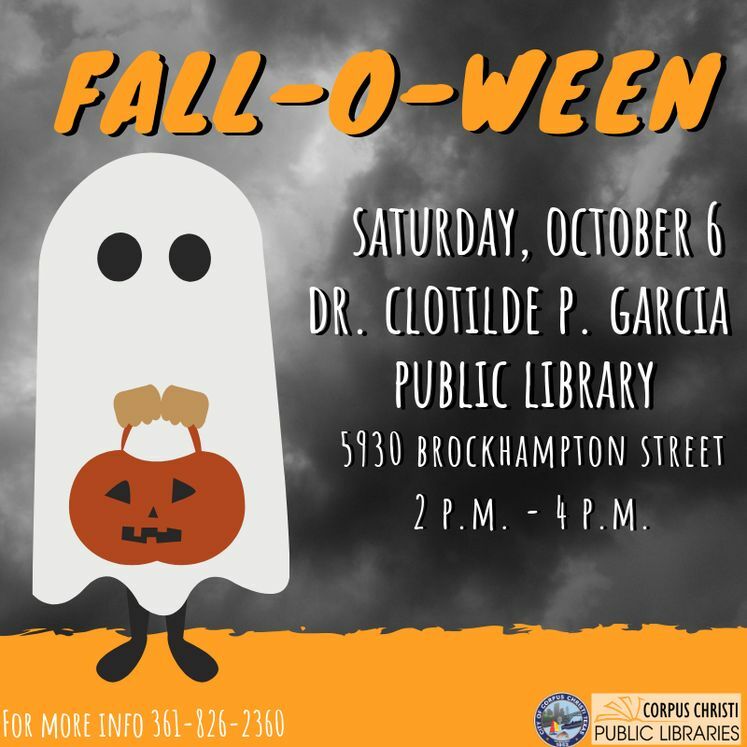 CORPUS CHRISTI, TX – The City of Corpus Christi’s Public Libraries invites families to welcome the fall season at its “Fall-O-Ween” event on Saturday, October 6 from 2:00 p.m. to 4:00 p.m. at the Dr. Clotilde Garcia Public Library, 5930 Brockhampton Drive. There will be family activities including creepy crafts, wicked games, a children’s costume contest and a spook-takular haunted house for the fright in all of us. (Minors need to be accompanied by parents.) Fall-O-Ween is free and open to the public. For more information contact Public Information Officer Olivia Santos, at 361-826-3248 or email olivias@cctexas.com.